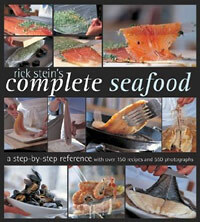 Considered one of the greatest authorities on fish and seafood, Rick Stein’s Complete Seafood is the best and most comprehensive guide to fish cookery. This James Beard award winner is the ultimate reference and cookbook rolled into one for both home cooks and professionals. The book is divided into three sections with Techniques being the first. These are the fundamentals of preparing and cooking seafood (raw, smoked or cured) with each method clearly illustrated from filleting, skinning, stuffing, scaling and cleaning to all of the cooking techniques. The step-by-step photographs and detailed instruction make even more difficult tasks easy to master. 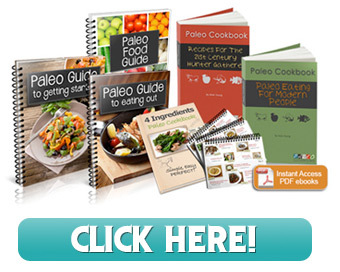 The Recipe section offers 150 selections from around the world to allow the reader to put their newly mastered techniques into practise. Organized by both species type and preparation/method there are Soups & Stews; Large meaty fish; small round fish; flatfish; crustaceans; mollusks; and Stocks, Sauces & Basics. The third section, Information is an A to Z of the world of fish families including preparation and cooking advice, along with means of identifying seafood. Seafood types are classified using a chart with the world’s fish showing to which family each species belongs. The final section includes a real highlight – beautiful, frame worthy coloured, hand-drawn portraits of key members of the fish family.